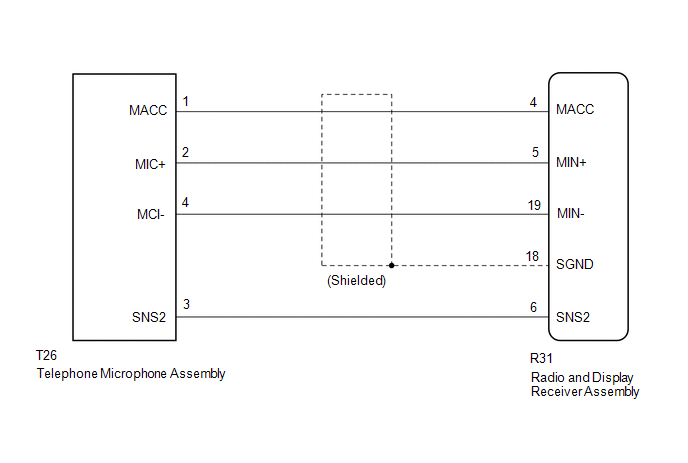 The radio and display receiver assembly and telephone microphone assembly are connected to each other using the microphone connection detection signal lines. Using this circuit, the radio and display receiver assembly sends power to the telephone microphone assembly, and the telephone microphone assembly sends microphone signals to the radio and display receiver assembly. 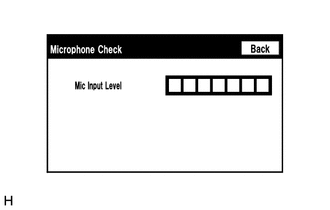 (a) Enter the "Microphone Check" screen. Refer to Check Microphone in Operation Check. (b) When a voice is input into the microphone, check that the microphone input level meter changes according to the input voice. (a) Disconnect the R31 radio and display receiver assembly connector. 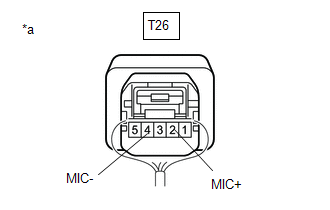 (b) Disconnect the T26 telephone microphone assembly connector. (d) Reconnect the radio and display receiver assembly connector. (e) Reconnect the telephone microphone assembly connector. (a) Remove the radio and display receiver assembly with connectors still connected. 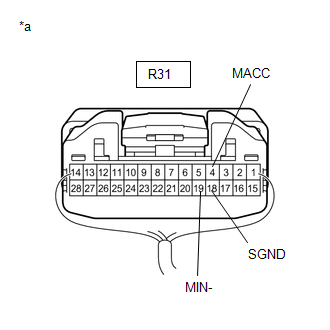 (a) Remove the telephone microphone assembly. 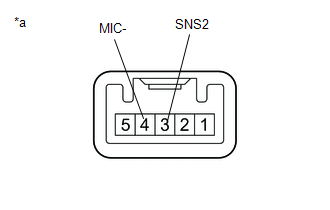 (c) Install the telephone microphone assembly. (a) Turn the ignition switch to ACC. (b) Connect an oscilloscope to terminals 2 (MIC+) and 4 (MIC-) of the telephone microphone assembly connector. (c) Check the waveform of the telephone microphone assembly using the oscilloscope.